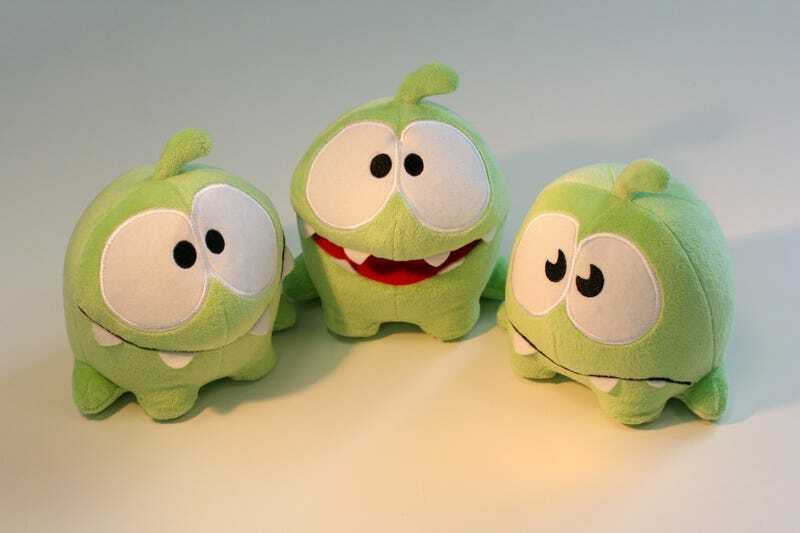 Coming in September to toy and specialty shops around the country, these plush representations of Cut the Rope's hungry little mascot Om Nom are so ridiculously adorable I would gladly suffocate beneath a mountain-sized pile. These teasing images were sent by Chillingo and developer ZeptoLab, along with news that the game's 1.4 "Toy Box" update would be hitting iTunes soon, adding 25 new levels to the addictive physics puzzler, along with the ability to swap out Om Nom's candy for doughnuts and cupcakes at the touch of a button. But surely the real news here is the army of Om Nom toys set to invade stores. If not smothered beneath them, I at least want them packed tight in my casket when I die. That should be much easier to fulfill than my previous dying wish, being cooked and eaten by my love ones. It's a great weight off my shoulders, no longer having to worry about being delicious.